I love glitter polish, but when I do an entire mani with glitter it's just too much for my taste. That's why I love an accent nail. China Glaze Sweet Hook from the spring 2012 Electropop Collection. 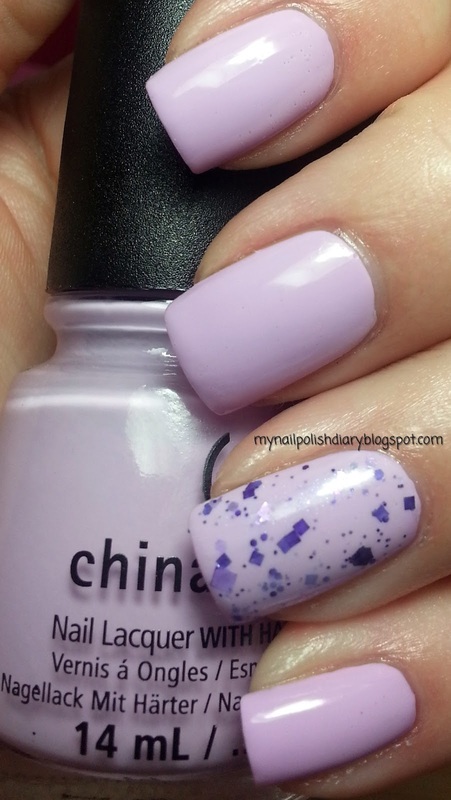 It's a lilac purple creme that is just divine. It's pure perfection with smooth application and wear time that lasted until I decided to remove it 4 days later without a single chip and barely any wear time. Lynnderella Nosegay was released in the Lovely Is As Lovely Does. I can't remember when this was released. 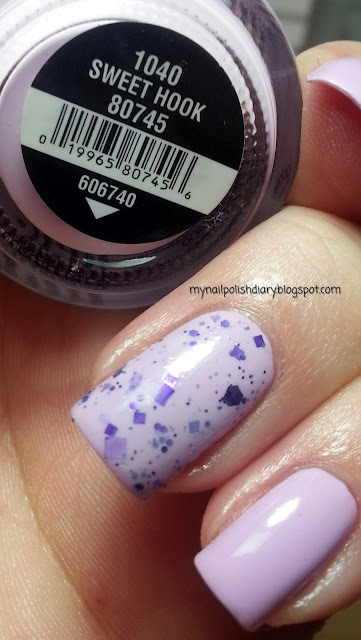 It's small purple square and hex glitter in with slight shimmer in a mostly clear base.